Business Transformation. What is it? 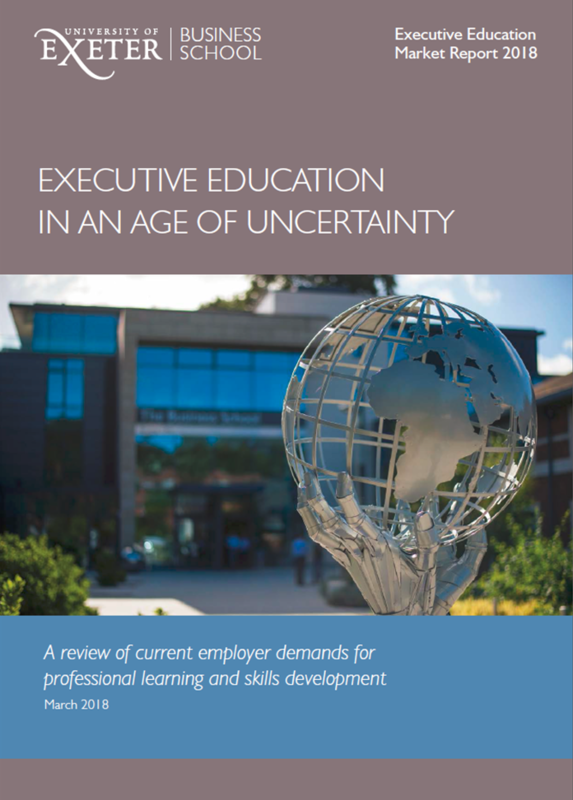 Does it even exist in the real world outside the rarefied environment of the CEO’s vision, the consultant’s presentation or the academic treatise? If it does exist, how can it be achieved? These are important questions at a time when the need for major change in businesses is ever more pressing, faced with an environment that is full of new challenges and opportunities. In my career I have worked both inside large businesses and outside them as an external consultant. 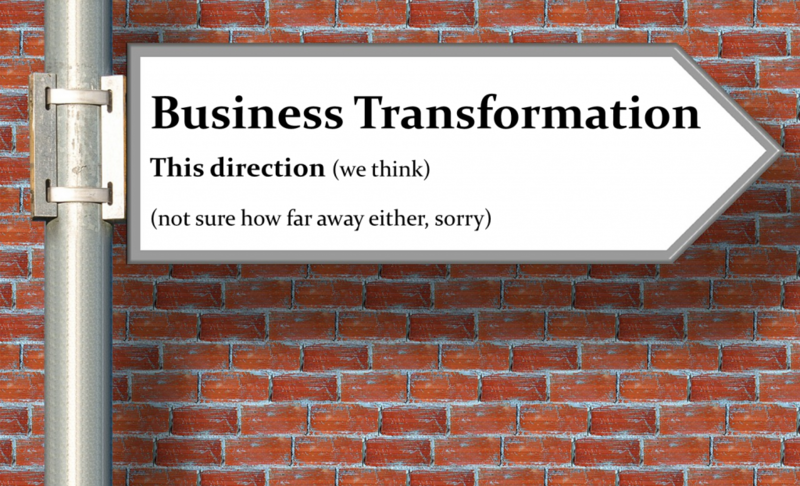 During this time I have experienced the wide continuum that is ‘business transformation’: from the all-too-common hype to the reality of major change projects that drive step-change performance improvements through the application of new business practices. What I have learned is that ‘business transformation’ is not achieved by one mythical ‘big bang’ programme, despite the (over) promises of advisors, consultants and CEOs. Business Transformation is not like a chemical reaction where you bring together key business elements and catalyse them with a strategy to create – in a flash of light and a cloud of smoke – a new business model. Instead it is something apparently more mundane. It’s like farming. For transformation is achieved by the hacking-away of the stifling undergrowth of conventional thinking, the planting of seeds of new paradigms and practices, and the hard graft of execution in the office, on the factory floor and out in the field. Transformation is realized across many harvests of change – not simply one ‘bumper harvest’. Sometimes the yield from a harvest is poor, the crops of change wither and die and new approaches are needed. Transformation requires the hardy farmers of change as well as its clear-eyed visionaries and sober-headed analysts. Business transformation requires a bold and unique vision of how the organisation can generate value in a significantly new way – effectively a new business model – and this vision needs to be bought into by leaders and champions in the business. 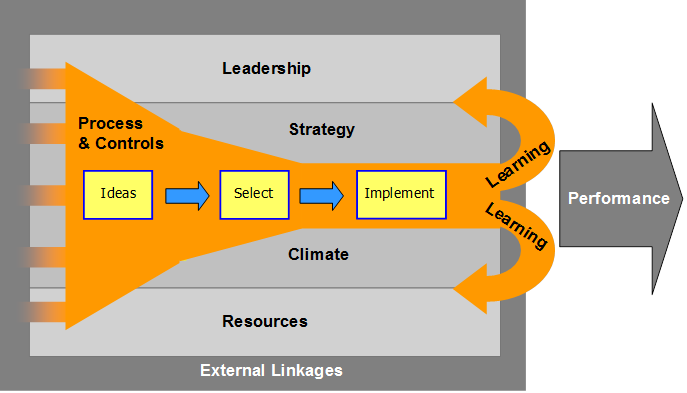 Communicating this new vision across the organisation – repeatedly – serves to catalyze improvement activities and provide a focus for innovation programmes. Then comes the hard grind of execution. The reality is that most business transformation programmes fail to realize the initial vision. Most commonly the business fails to sustain the transformation programme long enough to yield the planned results. Management is typically impatient for results and performance metrics in most businesses do not encourage the long-term outlook required for successful transformation. Finally it is worth remembering that businesses that are successful in the long term continually transform themselves – developing new business models – just as a farmer will continually develop their land, introduce new methods and plant new crops. 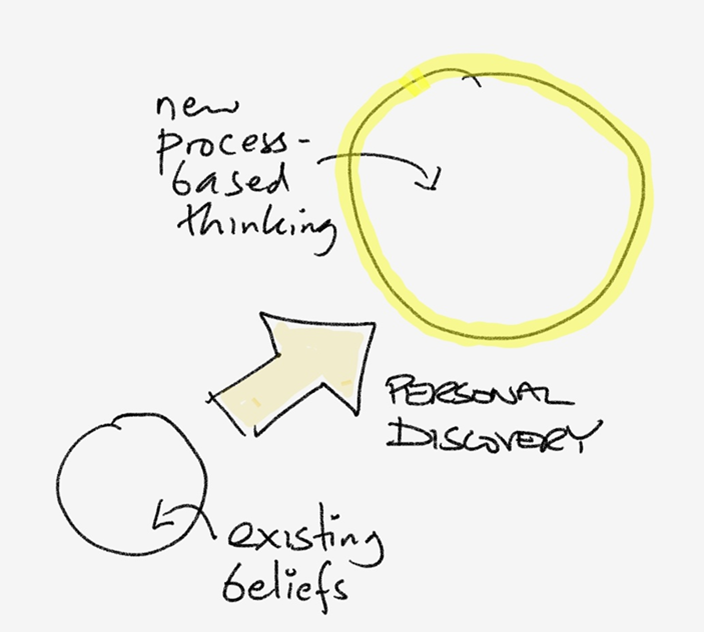 Business Transformation requires long term thinking, it is an ongoing journey of innovation, not a single destination. Brailsford made small improvements in cycling aerodynamics, in maintenance methods, in rider health and other areas identified by analysis as being small areas of weakness. These small improvements aggregated together transformed the competitiveness of the British Cycling team and subsequently Brailsford used a similar approach in the Team Sky cycling team. The result? Continuous Improvement (CI) is a type of innovation (defined as creating value from ideas) that sits at the unsexy end of the spectrum of business innovation. It receives few column inches in innovation blogs, individual projects do not result in earth-shattering changes and few of the project instigators will receive individual rewards. It is noteworthy only for its aggregated impact – of using new ideas to increase customer value or internal efficiency (by a little at a time). Toyota is often considered, incorrectly, as the parent of CI as part of its Toyota Production System (TPS), which later became known as Lean. But its conception was much earlier, primarily in the work study movement of the early twentieth century, fathered by Frederick Taylor and resulting in Taylorism. Toyota wrapped the resulting hard mechanics of time & motion study with its own philosophy of waste elimination and high workforce engagement. Toyota’s ability to generate an average of 10 implemented improvement ideas per employee per year places it in the premier league for continuous improvement; most western firms struggle to get into the lowest league with typically 0.1 implemented ideas per employee per year. Toyota’s approach to CI lies in its combination of a specific methodology and a work philosophy that defines a unique organisational culture: ‘Toyota views employees not just as pairs of hands but as knowledge workers who accumulate the wisdom of experience on the company’s front lines.’ (Source: ‘The contradictions that drive Toyota’s success’, Harvard Business Review, June 2008) This is a powerful view and one that is all too often missing from business organisations. Whilst industrial firms will have established CI programmes, focusing on shop floor teams, they vary significantly in their effectiveness. In my work with Codexx I have assessed a number of industrial CI programmes and typical weaknesses that occur include: Limited training in the use of CI methods, lack of defined goals and focus areas for CI, weak processes for reviewing and selecting ideas and limited workforce engagement (i.e. most ideas come from a few people). However for businesses that get it right, CI programmes can deliver significant financial benefits year on year and create a working culture that energizes and engages the workforce. Service businesses often lack robust capabilities for CI, although this is changing as Lean thinking continuous to permeate this sector. Allianz Insurance plc launched a major and ongoing innovation programme in 2006. At its core is a Continuous Improvement system.This uses departmental teams meeting regularly to identify and implement improvement opportunities. Each department team defines three key goals for their team and then, using a short weekly or bi-weekly meeting, they seek to solve problems that have been identified during the previous week and put on a departmental whiteboard by team members. Idea exploration and selection is performed by the team through a discussion. Implemented solutions are then recorded in the firm’s ideas management system. In total there are about 400 teams working in this way with the support of 100 trained innovation champions. Since its start the programme has yielded 38,000 implemented ideas with benefits measured at £19m (1). 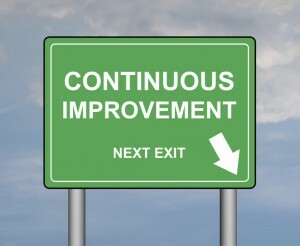 A challenge for service firms in Continuous Improvement is the difficulty of ‘seeing’ problems. In industry, a production process is physical, parts and products move through process steps involving people and machines. In a service business, the ‘product’ is information or an experience and is not always physical. This is especially so in Knowledge Intensive Services such as design, accountancy, law and management consulting where the ‘product’ is information-based. Why does this matter? It matters because ‘making difficulties visible‘ is key to Continuous Improvement. This is why a key mantra in Toyota is Genchi genbutsu or ‘Go See’. In other words: Don’t rely on reports or information from others, go and see the situation for yourself. In a services environment, walking into the location where work is performed provides limited value, particularly in information-based work, for there is little to see: what does a law firm’s office filled with people, desks, computer screens and paper (oh yes) tell you about the services performed there? Very little. This is why process mapping and visual management methods are key to making processes and their performance visible in a services environment. 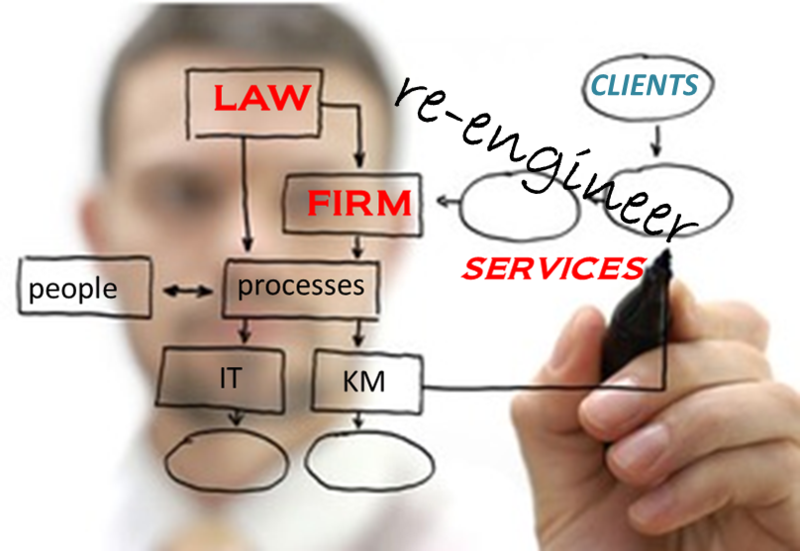 In my re-engineering work with professional service firms, the power of collaborative process mapping cannot be underestimated. ‘Know How’ is a common term used to describe expertise and is thus considered a ‘good thing’. However it is a bad thing when it becomes a barrier to innovation, which is not uncommon. Let me explain further. 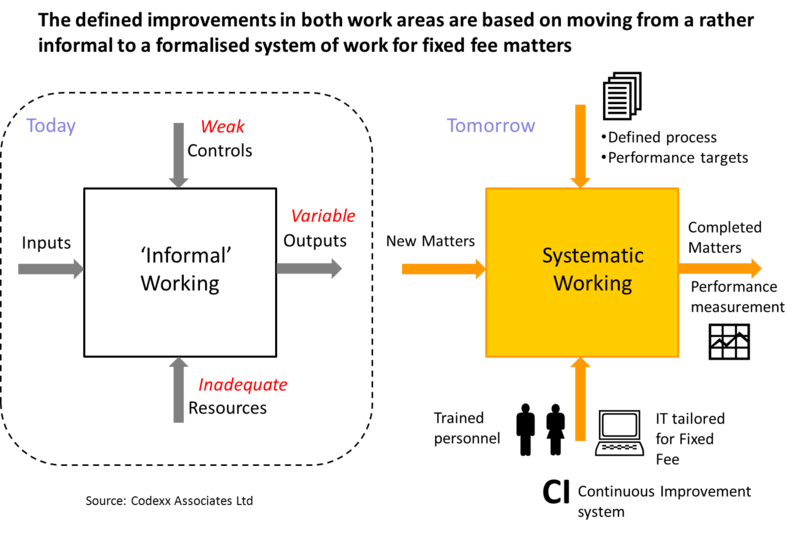 Much of work is repetitive to a degree with work comprising common activities and sequences of tasks. ‘Know How’ is sufficient to perform such work, as the procedures to be performed and the steps to be followed can be learned and represent the required ‘Know How’. The underlying reasons for why the work is designed in this way are not necessarily understood or indeed do not need to be to perform the work. But ‘Know Why’ is key to making significant improvements in how this work is performed as there needs to be understanding as to why the work is designed in its current form. Indeed much waste exists in working methods because steps and procedures in place were relevant to a situation that does not apply any more. For example, in a major insurance client, some activities in an internal process related to an IT-workaround which had not been required for many years….the people performing the work simply had not been told. The disciplines of questioning, investigation and analysis to enable ‘Know Why’ – a deep understanding – of the work area under focus provide a strong foundation for Continuous Improvement. 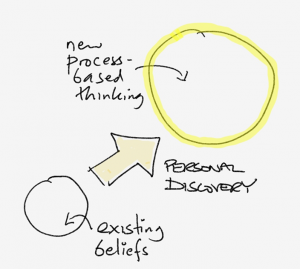 One of the biggest challenges in driving innovation in an organisation is how to fit it in around the daily business. Innovation is about creating ‘tomorrow’s business’ – a organisation’s focus is on delivering ‘today’s business’ and employees are measured and rewarded on this. So finding time for innovation is always challenging. 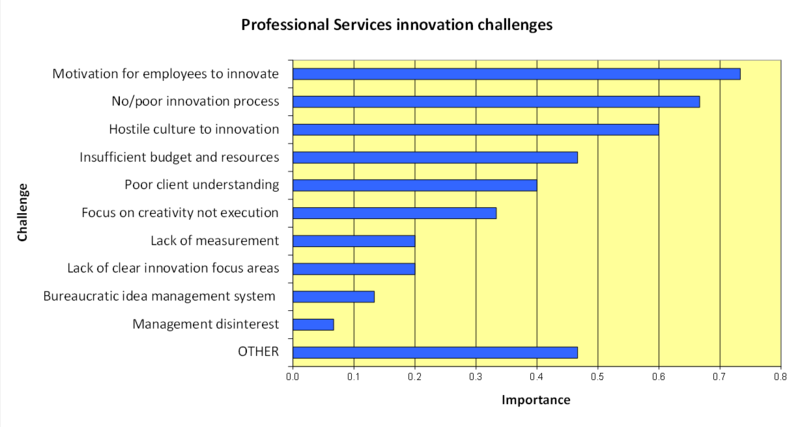 A related challenge is that the term ‘innovation’ can be intimidating to employees. Many people (incorrectly) associate innovation with the need for creativity and radical ideas and thus feel that they can’t contribute. 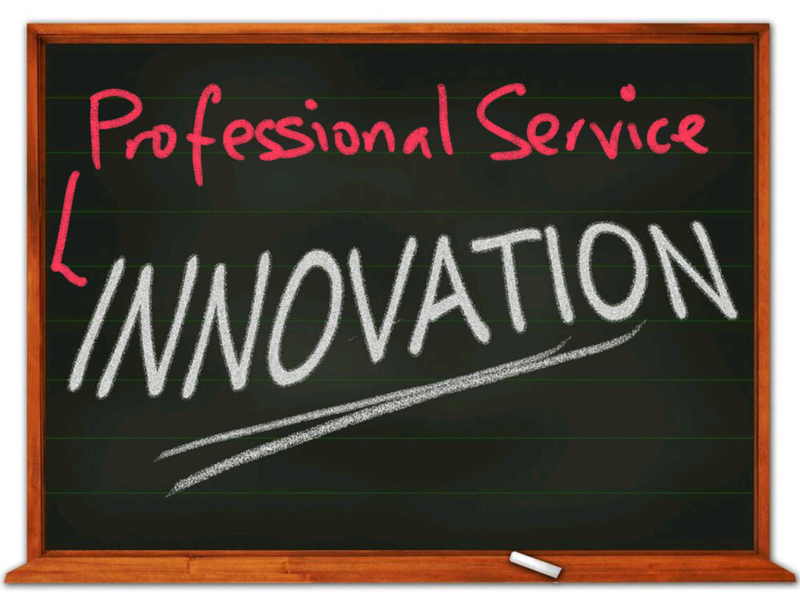 AXA Insurance Ireland ran an innovation programme in the early 2000s (2). AXA’s analysis of those improvement ideas implemented in the first few years of the programme showed that 80% of them related to small process or service improvements or waste elimination. This helped employees realise that indeed they could participate effectively in the programme by seeking improvements in how they performed their daily work. This helps engage employees in innovation as a regular part of their work – as demonstrated at Allianz Insurance. 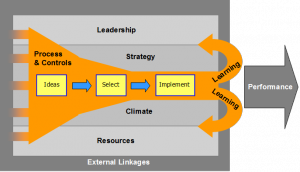 CI thus provides a good foundation for commencing a programme of innovation in an organisation. So whilst Continuous Improvement might not make as much noise as other forms of innovation, don’t underestimate the power of marginal gains multiplied by high participation in your organisation. 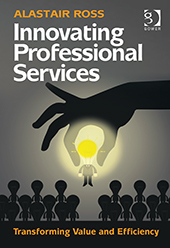 both case studies in ‘Innovating professional services – transforming value and efficiency‘, Alastair Ross, 2015, published by Gower.